← White Tiger Painting – Prints coming soon! 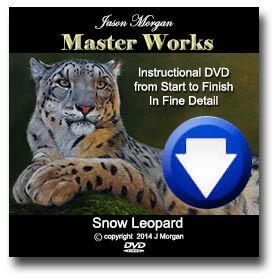 14 Responses to Painting a White Tiger Step by Step Tutorial. Jason, you are such an inspiration. I love your work and appreciate your tutorials. I don’t work in oils so I convert to acrylics or pencil. Thanks for letting me and others look over your shoulder as you create. Jason, like you I love the big cats and african animals of all kinds. I work in oil and have finished several paintings of African animals, Kudo, Water Buck, Cape Buffalo, Mountain Gorilla, Lion and a Zebra is presently on the easel. Although I have sold my painting over the years it is for my relaxation. 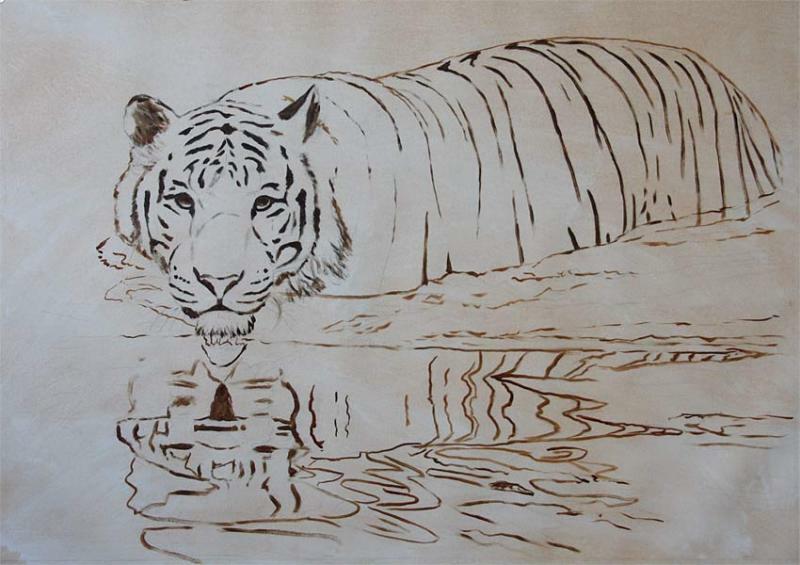 I marvel at the detail of your brush strokes and wonder how do you create such detailed fur lines or outlines? I have many brushes and yet, I more than not attain your quaility of line. I admire your paintings and do enjoy your tutorials. Thank you. I have just viewed your painting of a white tiger and I think it is absolutely wonderful. I do view your paintings on line quite often and admire your work very much. I have only been painting for over 2 years and have never had a lesson. 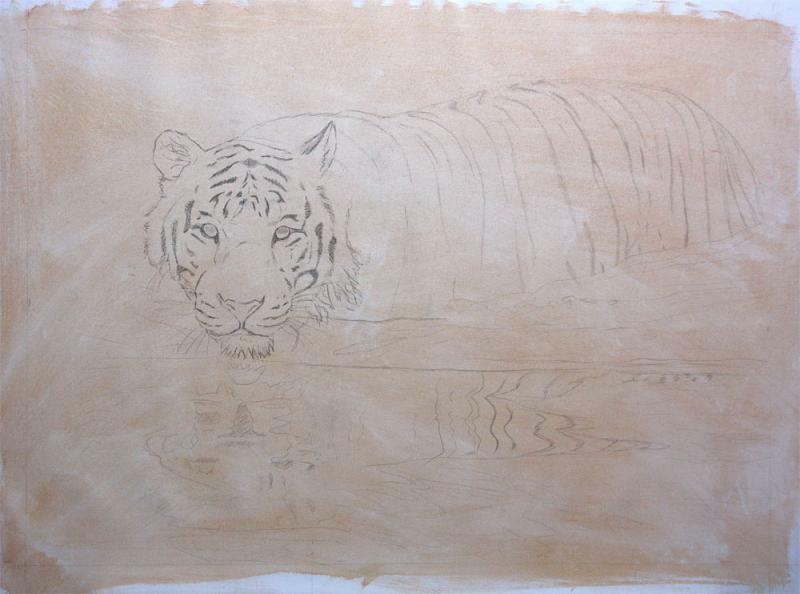 I have attempted to paint tigers, lions and one elephant amongst other things in oils . I just wish I had pursued this hobby much earlier in life! I just have to let you know how amazing i think you are!!! you have such a fabulous talent! keep up the excellent work.. and i will keep following you, thank you for inspiring me to keep painting!! i LOVE all your work!! We have spoken before. I admire your work greatly and hope I can paint as well as you eventually. This particular painting is stunning and beyond words. Thank you for taking the time to explaint how you created such a wonderful piece. How long would you say it takes you to complete a painting like this? I started painting late in life two and have only been painting a couple of years as I was afraid of oils. Wish I had started much earlier too as I do love art. Your paintings are mesmerizing. Thank you for the really nice post Susan. I always look forward to your e-mails and your sharing the paintings with us. They make me want to get a brush and TRY to paint a big cat like yours. 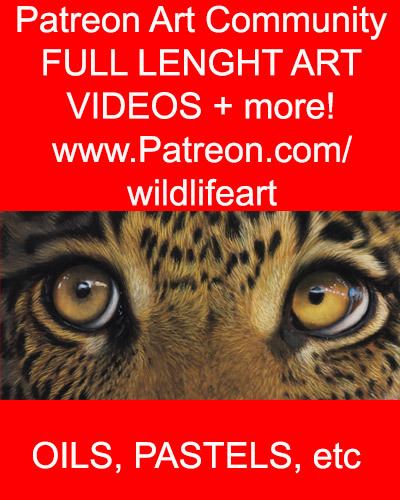 I have a facination with the big cats and you paint them absolutely beautiful. I constantly go to your site to take in all the beauty of your work. You are so blessed with a wonderful talent and “Thank You” for sharing it with us. Brilliant. Keep up the great work and I find it very interesting how you can paint a picture that is beyond the quality of a photograph. Really love the step by step articles.